July 19, 2018, 3:30 p.m. 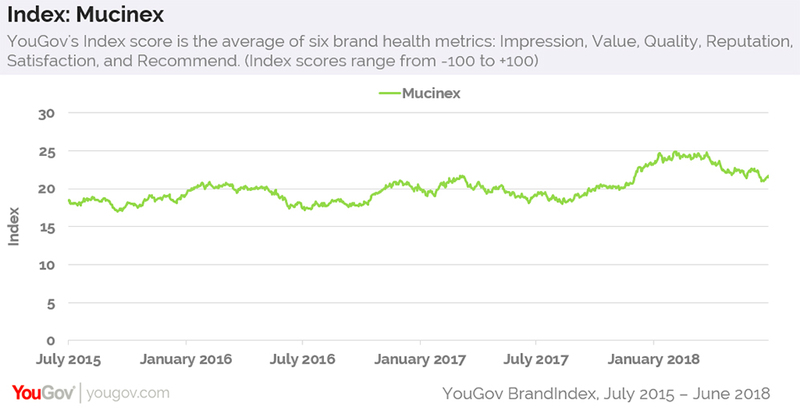 This lift in sentiment toward the brand correlated with a rise in potential sales. 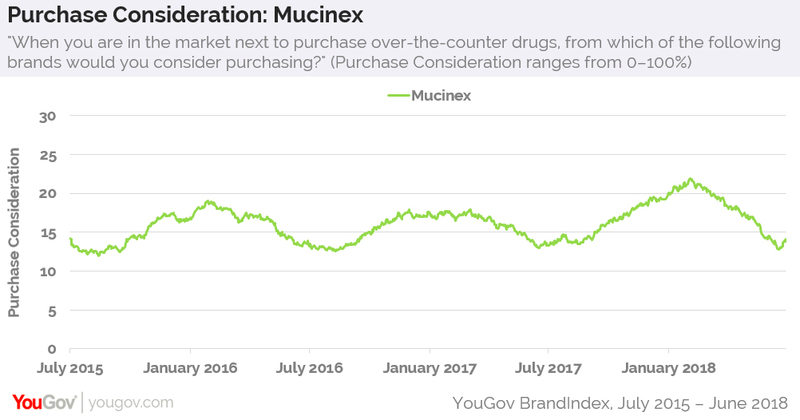 Mucinex’s Purchase Consideration score — which gauges how open the public is to buying a specific good or service — shows that, in early February, 22% of shoppers said they&apos;d consider getting Mucinex when next in need of an over-the-counter drug. 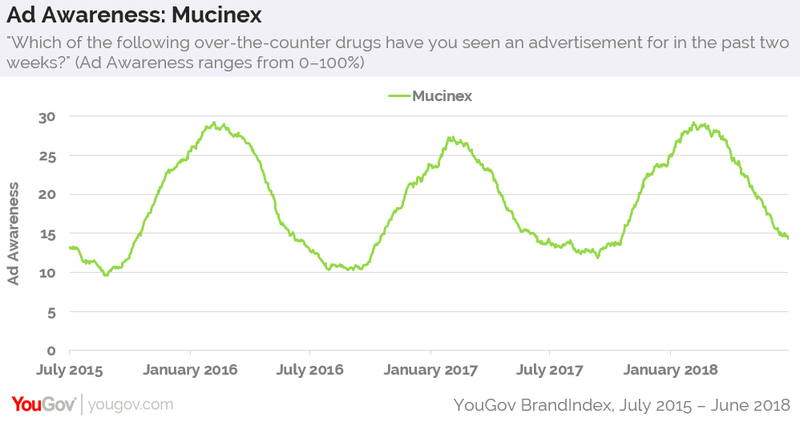 It’s the highest Purchase Consideration score for Mucinex in the past few years.